The directory of organizations & companies in the fields of urban planning, urban architecture, landscape, environment or gis in all the Netherlands. 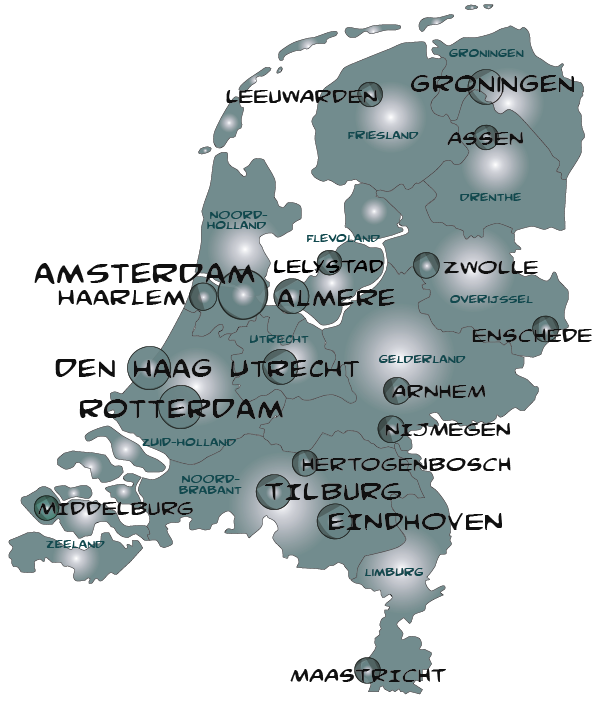 The Urban planning directory of THE NETHERLANDS reveals the main institutions, associations or companies in the fields of urban planning, landscape, geografic sciences across the region. More than 900 agencies & institutions are listed all across THE NETHERLANDS within this ebook. The directory of organizations & companies in the fields of urban planning, urban architecture, landscape, environment or gis in Manchester and Northern England. The directory of organizations & companies in the fields of urban planning, urban architecture, landscape, environment or gis in the capital of the European Union. The urban planning directory of Belgium is the professional directory listing companies and institutions in urban planning.